Homelessness is a “national crisis” and the Tories are “unacceptably complacent” about tackling it, a cross-party committee of MPs said today (December 20). A public accounts committee (PAC) report found there are more than 9,000 rough sleepers in England and around 78,000 families in temporary accommodation – including 120,000 children. 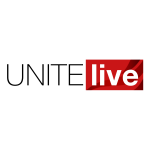 Unite said its housing members are struggling to help increasing numbers of homeless individuals and families – which includes those living in hostels, temporary accommodation and on the streets – because of the government’s policies. The PAC report found that rough sleepers have increased by 134 per cent since 2011, while the number of people living in temporary accommodation has risen by two thirds during the last seven years. The report pointed to a shortage of housing for homeless people and those at risk of losing their homes. Committee chair and Labour MP Meg Hillier said the government’s homelessness policies have been an “abject failure”. She said, “The government must do more to understand and measure the real world costs and causes of homelessness and put in place the joined-up strategy that is so desperately needed. “That means properly addressing the shortage of realistic housing options for those at risk of homelessness or already in temporary accommodation. Unite national officer for housing Siobhan Endean detailed what those market reforms should be. She said, “As a matter of urgency there needs to be an increase in the number of housing association homes specifically available to rough sleepers as well as a rise in the number of outreach workers to find and support homeless people. Endean added, “The PAC have articulated what anybody who walks into a town or city centre in Britain knows – homelessness is a national crisis. “Housing shortages and successive government cuts have created this crisis and our members – from those working in housing associations and charities to rough sleeper outreach workers – are finding it more and more difficult to help the people who need it most.